Overview: On Gowrie Farm Golf Estate at Nottingham Road in the KZN Midlands if this magnificent stone Clubhouse, reminiscent of an old barn which has been renovated. 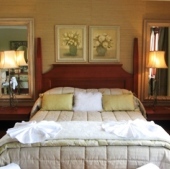 It boasts five luxury, 4 star double rooms all overlooking the lake and golf course, run on a bed and breakfast basis. The rustic feel of the building is in keeping with the architectural ethos of the estate, and to ensure it’s aesthetic authenticity, it has been built from stone sourced from an old demolished building. The Clubhouse restaurant is open daily from 7:30am to 4:30pm, serving delicious country breakfasts as well as Halfway House. 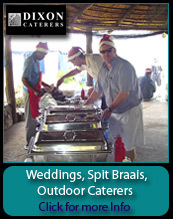 Evening meals may be enjoyed at the local restaurants, of which there are several within 5 kilometers of Gowrie Farm. The Clubhouse may also be booked for intimate evening functions, for which dinners are catered for. The beautifully appointed luxury bedrooms have stunning views over the golf course and Clubhouse Lake. Each room has a full en-suite bathroom, has underfloor heating and a flatscreen TV.